People can’t see their impact at the point of use unless feedback is in their face. Ubiquitous information to consumers can reduce peak energy use by 5-20%, depending on pricing and market design and the availability of end-use enabling technology. Google PowerMeter could integrate real-time energy usage as part of a user's homepage, however, the market is a tough nut to crack. 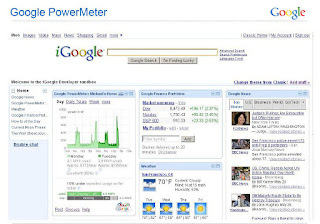 Google will retire its PowerMeter on Sep 16 2011, two-and-a-half years after its launch, the company said in June. Today most people have little idea how much electricity they are using until they are presented with a bill. It’s like going to the grocery store and getting a consolidated bill at the end of the month with very little information about the prices of the items you bought. People also don’t know what proportion of their power was generated by nuclear, coal, gas or some form of renewable energy, or what emissions were produced in the process. There is a debate whether a next day report on a utility web site is good enough to enable behavior change or whether real time feedback is required. Throughout 2009 and 2010, Internet companies like Microsoft, Google and even router giant Cisco launched experimental software and hardware to help building managers and home owners monitor and control their energy consumption. While Microsoft and Google focused on consumer-facing software, Cisco decided it would build a home-energy dashboard and also sell building-energy-management products. But now, 12 to 24 months later, all three of these players have ultimately made the decision to abandon those projects. AMI –Automated Meter Infrastructure - Systems that measure collect and analyze energy usage, from advanced devices such as electricity meters, gas meters, and/or water meters, through various communication media on request or on a pre-defined schedule. This infrastructure includes hardware, software, communications, customer associated systems and MDM software. Traditional systems which were only capable of meter readings don't qualify as AMI systems; the primary difference being two-way open communication capabilities. Green Button - a feature that allows residential and commercial customers to download detailed energy-use information in a standardized format to better manage electricity consumption and cost. Initially launched in January, utilities committed to provide Green Button capability to nearly 12 million households in 2012. Two utilities - Pacific Gas & Electric and San Diego Gas & Electric - have implemented live functionality on their websites. Numerous companies are already developing Web and smartphone applications and services for businesses and consumers that can use Green Button data to help consumers choose the most economical rate plan for their use patterns; deliver customized energy-efficiency tips; provide easy-to-use tools to size and finance rooftop solar panels; and conduct virtual energy audits that can cut costs for building owners and speed the initiation of retrofits. Vampire Load – Electricity used even though an appliance is off. Research has shown that people respond to real time feedback while a report on a previous day's activity doesn't lead to action. According to Google.org, the more real-time the better; behavioral science shows there is a real difference on how consumer responds to data that is seconds old is different than data that is minutes old. To be actionable, it is much better to get data down to seconds. Consumers should be given real time access to usage data generated from AMI. It may not be necessary for all the data to go back to a central storage location. A Smart Grid is a key enabler in communicating real time information including usage and prices to consumers with the goal of peak reduction. Successful smart grid implementation requires that electricity customers—residential, commercial, industrial, and institutional—have the information and the tools needed to participate in the market. Clear and consistent information, e.g., when the grid experiences peak demand, and effective tools, e.g., switches and smart appliances, enables informed and active customer participation in the smart grid. Service providers and others need to be encouraged to develop interoperable devices, programs, and other services on a timely basis to enable customers to participate in smart grid programs. Past attempts of SCE to notify people of their energy use with emails or text messages were not effective. What worked was to give people an Ambient Orb , a little ball that glows red when a customer is using lot of energy, but green when energy use is modest. In a period of weeks, users of the Orb reduced their use of energy in peak period by 40%. That flashing red ball really gets peoples’ attention and makes them want to use less energy. The underlying problem is that energy is invisible so people do not know when they are using a lot of it. The genius of the Orb is that it makes energy use visible. "The dishwasher turned out to be a big energy hog. We now wait to load it fully before starting it. Or, if it's just a couple of dishes, we wash them by hand. When we turned on our space heater, we were amazed by its power consumption. It definitely gives one a perspective on a true cost of using a $20 space heater." "I saw the huge spikes caused by washer/dryer use, so now I make sure each wash load is full. I also noticed spikes when the home heater would turn on even when we weren't home, so I made slight adjustments to the timer to better align with our schedule. It's amazing that taking such simple steps has reduced our energy consumption by more than 10%." 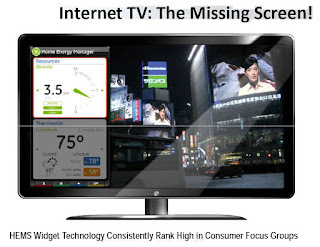 Consumer Disinterest - At the end of the day, there’s no economic reason a regular person would want to spend time monitoring their energy consumption. There’s not an opportunity to save much and the steps you would take to save money are obvious (turn the heat down a bit, turn off lights, run dishwasher when full, etc). I don’t need a real time energy monitor to know about those things. Often more information is just more noise. Interoperability - Many utilities are proposing “silo” systems that inherently do not permit reasonable interoperability Interoperability means data and analytics are exposed across the network. It means that new tools and services to help customers actively manage their energy usage can be integrated fast with minimal resources. Technology will evolve rapidly, so what we invest in today, should be open to what we need tomorrow. Data Management – Consumers should be given real time access to usage data generated from AMI. It may not be necessary for all the data to go back to a central storage location. Data Control – Will utilities provide access to real time information to entrepreneurial third parties? A group of companies and nonprofits led by Google sent a letter to President Obama asking the White House to open up energy data so that every consumer can take control of their energy use. Right now, applications such as Microsoft's Hohm provide information on power consumption and electricity rates, but they generally do not provide real-time data. Live data would greatly enhance these services. Generally, utilities closely guard this sort of data, worrying about what would happen if the data were misused, and as such, they will likely oppose or at least closely scrutinize attempts to force them to disgorge it. Information Quality - Giving consumers information about energy usage is fundamental to building a smarter grid. Present data in a way that is easily understandable. For example, extrapolating to end of the month bill. Privacy and Security need to be maintained unless a consumer grants a third party access. Will utilities deploy rich energy management functions for customers or cede role to 3rd parties? Alert Me.com - London and Cambridge, England - A web-enabled consumer Smart Home Energy Management service in Europe that combines an easy to self install kit, with an in home display and an online interface that can deliver detailed and relevant information to the user via their computer or their mobile phone. "Control your energy use on the move, what a brilliant idea, just £49.99. Aztech Associates - Kingston Ontario - Makes wireless in-home display devices and time-of-use clocks that tell homeowners how much power they're using and when it's most expensive. Its products are in use in pilot projects including Louisville Gas and Electric and Canada's Hydro-Quebec. EnergyHub - Brooklyn, NY - Develops software and hardware solutions that help consumers and utilities reduce energy consumption. Their solutions allow homeowners to understand and control energy use in real time and encourage people to take actionable steps to reduce consumption. EnergyHub technology enables utilities to identify and manage peak loads, implement effective demand response programs, and improve operating efficiency. In August 2011, EnergyHub announced its new Mercury™ smart thermostat service, a software platform designed to reduce residential energy consumption without sacrificing comfort. The cloud-based service, now available to cable and television service providers, home security companies, utilities, and device manufacturers, uses advanced analytics and engaging user interfaces to optimize thermostats and increase energy efficiency. The Mercury platform unlocks the potential of off-the-shelf wireless thermostats by analyzing the consumer’s comfort preferences and the home’s unique characteristics to arrive at a customized heating and cooling plan. Over time, the system provides personalized coaching based on the home’s historical performance and provides comparisons to other households to encourage even greater efficiency. As the price of wireless thermostats drops (you can buy them for as cheap as $100 at Home Depot and utilities often give them away to entice customers into demand response programs), there is a growing need for sophisticated software to go along with the devices. For utilities, the platform will help homeowners enroll and stick with demand response programs. Not only will it provide two-way visibility, it will also allow customers to easily see how long a demand response event is going to last, or if they need to, to override the event. 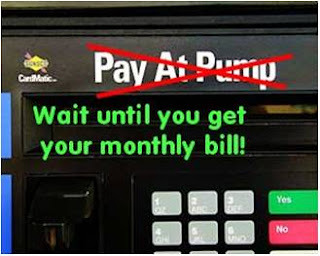 A service like this would have come in handy during the recent heat wave when Baltimore Gas & Electric was flooded with angry phone calls when customers in the PeakSavers program had their air conditioning shut off during the hottest hours of the day. Mercury is delivered as a software-as-a-service (SaaS) platform that can be customized to match any brand so that established home security, cable, and telecommunications service providers can bundle thermostat optimization and remote monitoring and control services with existing subscription offerings. 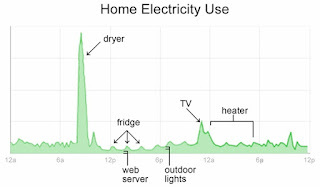 In 2009 Google unveiled its PowerMeter Web tool that allows homeowners to monitor their energy consumption. But the PowerMeter required a utility-installed smart meter to work. While the intelligent meters capable of providing frequent and detailed energy use information are being rolled out by the millions, relatively few American homes now have them. Both Google and Microsoft counted on third party companies to develop a customer base for their portals via hardware/software interface to their Powermeter and HOHM platforms. Their focus was in ad generation and the potential revenues from paid advertisers to Google or Microsoft. 1. It’s early. The market for energy management tools is still in a really early stage. Consumers are largely unaware of the tools and technologies available to monitor and manage their own energy. 2. Opt-in, not opt-out. In this early stage of the market, it seems like programs that are opt-out (sent unless the customer says they don’t want it), not opt-in (only sent if the customer wants it), are the ones working. OPower has been successful largely because it connected with utilities early on, and OPower’s detailed energy bills and energy savings recommendations, are delivered to utility customers automatically. 3. Utility friend or foe? Since Google first launched PowerMeter, some utilities saw the tool as a threat to the relationship they have with their customers. Google’s brand is a whole lot bigger and more consumer-friendly than utilities, and Google has often jumped into industries and sought to disrupt them. When Google first launched PowerMeter, it focused on connecting with data from smart meters, then later opened its API and connected with gadget makers to circumvent smart meters. Google was originally dependent on utility relationships, but weren’t all that good at securing those relationships. 4. Google isn’t an energy company. Google didn’t ever really market PowerMeter, and PowerMeter came out of its philanthropic arm Google.org. It was an experiment, and one that didn’t pan out. Navetas - Oxford, England - Navetas says its “energy disaggregation” technology can figure out exactly how much power your household appliances are using, without installing expensive networks or sensors in the home, and in April 2012 it landed a £5 million investment from big meter maker Sensus, along with an exclusive licensing agreement to try it out in the United States. The University of Oxford spinout is taking a unique approach to a complex challenge: to identify and track different household power loads, such as dishwashers, refrigerators, washer/dryers, TVs, computers, water heaters, lights, and the like, by sampling electric voltage and current data from a single point. Today's smart meters only measure total power usage, leaving people to guess what's causing spikes and sags in that number over time. Navetas, which has previously raised £7 million from Swarraton Partners, Naxos Capital and the University of Oxford, says its technology can “learn” a typical home’s mix of energy loads over the course of a week or two, depending on how often the homeowner happens to use different appliances. That information can then be presented to homeowners via in-home displays or web and mobile platforms, as well as going back to the utility to help it understand how its customers are using their energy. Powerzoa - Developed in a Presidio School of Management class on Sustainable Products and Services - A smart plug that connects to wall outlets. Unlike other smart plugs that display energy on an attached display, the Powerzoa sends energy usage data to a Web site, where appliances can be scheduled to automatically turn on or off. Powerzoa is very early stage, "entering into beta trials with customers and utilities," and "soon looking for angel funding." The startup is aiming for a price point of $25 per plug. Check out this cool video demo. Silver Spring Networks - Acquired home energy monitoring startup Greenbox Technology in September 2009. It integrated Greenbox's web-based energy management platform into its series of deployments under under its new name, CustomerIQ. Greenbox created an integrated Internet service that lets a residential customer view, interpret, and act on their everyday utility service consumption and distributed generation behaviors. While other companies have presented residential electricity awareness interfaces, they rarely demonstrate the ability to span non-electric utility services, distributed generation, and remote appliance control from a single unified interface. In-home devices - Silver Spring also supports a wide range of ZigBee Smart Energy Profile devices that display usage and pricing information relayed via the customer’s smart meter. Itron Cellular Solutions (Fomerly SmartSynch) - Jackson, MS - In May 2012, Itron (NASDAQ: ITRI) announced that it has completed its previously announced acquisition of privately held SmartSynch for $100 million. The acquisition strengthens Itron's cellular communications offering and brings greater choice to utility customers across the spectrum of smart metering deployments. SmartSynch, a leading provider of point-to-point smart grid solutions that utilize a cellular network for communications, has more than 130 customers, including nine of the top ten utilities in North America. Most recently, SmartSynch’s technology was selected by Consumers Energy to meet the needs of a full cellular smart grid network deployment for 1.9 million electric residential and commercial & industrial customers. Allow utilities to add multiple communication technologies to their smart grid communications infrastructure based on future needs without having to replace an entire system backbone. Measuring Transmitting Unit (MTU) - This device is installed in the breaker panel and transmits the signal from the Current Transformers to the Gateway using a power line carrier signal that travels on your exisiting power lines throughout your home. Current Transformers (CT) - These one inch diameter clamps connect to the two main incoming conductors in the breaker panel. They are sensitive to one watt and accurate to within 2%. Gateway - This device is known as the "heart of TED". The Gateway is embedded with Footprints Software, stores up to 10 years worth of data, and can plug into any outlet in the home. When connected with an exisiting router and internet service, data can be viewed remotely. Wireless Display - This optional handheld wireless device receives data from the Gateway via ZigBee wireless radio signal. The wireless display allows you to view up to 10 screens of detailed electricity data updated every second. Footprints Software - This HTML Web-based software is embedded on the Gateway and includes features such as a utility rate set up, monthly bill projector, load profile wizard to monitor up to five individual devices, charts, graphs, and up to 10 years worth of exportable historical data. Watts Up? - Denver, CO - Initially test marketed in 1992, Electronic Educational Devices was incorporated in Denver, Colorado in April of 1997. Watts up? was first introduced to the education market, however, it wasn't long before several utility and energy services companies began to take notice. Hundreds of utility companies across the country now utilize Watts up?. Soon consumers found out about it, and that became a bigger market than the schools. More than ten years since it's inception, EED in addition now manufactures the Smart Circuit line of electricity controllers that actively reduce electricity consumption. Watts up? and Smart Circuits are now primarily sold for commercial applications. During a one-year pilot study carried out by PNNL, for example, consumers reduced their electricity bills by an average of 10% compared with the previous year.